Or do they? That’s right, we bring you some ama-zing tried and tested makeup tricks that are specifically meant to work in tandem with your eyeglasses. Where you make the best of your pretty peepers with the makeup and eyewear at hand. Think of balancing and complementing the two at all times and you’ll get the key idea here. 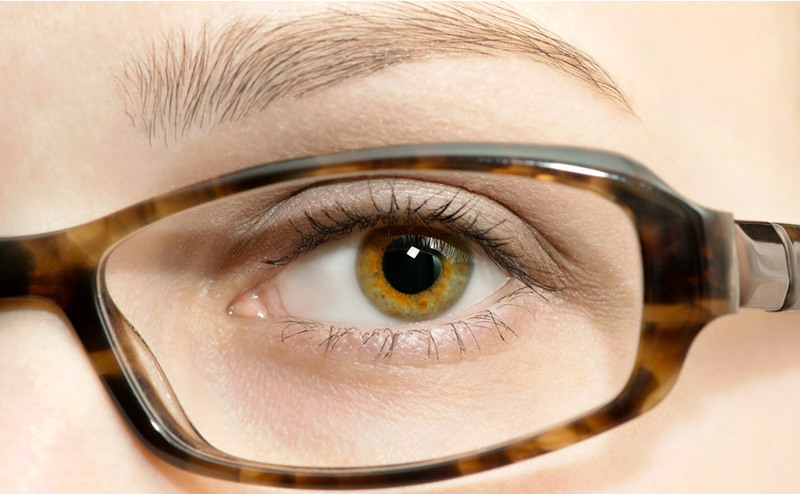 As you probably know, your eyeglasses do frame your face but did you know that your eyebrows frame your eyeglasses? Trim and shape your eyebrows into the best version they can be because it makes a world of difference to your face. 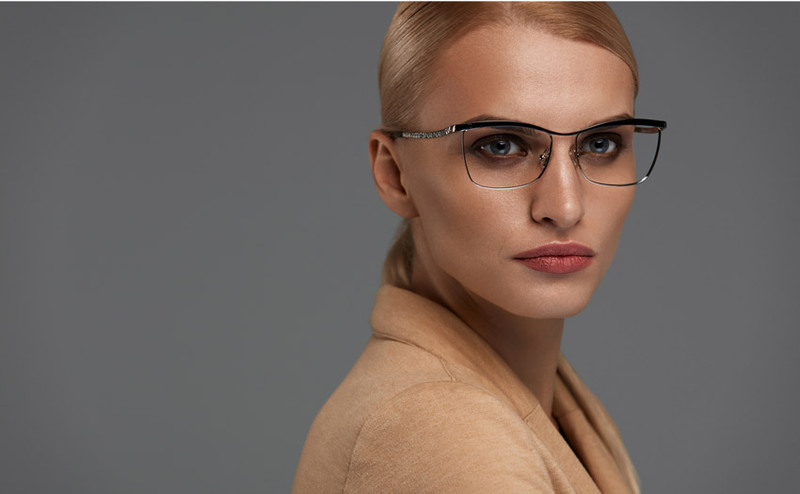 Much more so, when you don eyewear. This holds true for your eyewear at least. None of your eye makeup will be hidden if you wear larger frames because it serves as a bigger canvas so to speak, to showcase your eyes. Here, the idea is simple. If you have a bold hairstyle then go for frames which aren’t as in-your face; think visually softer and lighter. Whereas if you have a relatively simple or no fuss hairstyle, then going funky with those frames will give you that much desired edge. We’re all coveting that fun lovin’ fringe but we’re not really sure how the fringe and the eyewear work out. 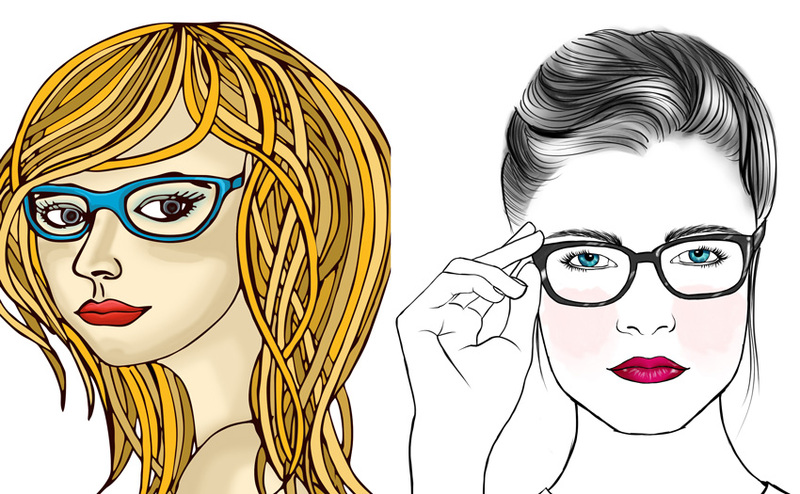 Here’s how – first things first, keep your fringe a cut above your eyeglasses. You can even carry your eyeglasses to your hairstylist so they know exactly where to trim your fringe down to. With a fringe, opt for lighter coloured frames and lighter fabrications too. Avoid chunky and dark frames that might just make everything shout out for attention in an unflattering manner. Here’s something for the boys as well. Metallic eyewear and frames in darker shades offset brown hair rather well. You can give tortoise-shell fabrications in a brown palette a shot as they look good on the brown-haired ones. Blond-haired people on the other hand, do look good in lighter coloured frames but can even make darker colours work for them with just as much panache. It really comes down to a matter of personal preference, so you can leave yourself open to some experimentation here. Redheads too can choose virtually any colour on the spectrum. If you want it, you can pretty much have it. Go on, knock yourself out. At the end of the day, stay true to who you are and you’ll rock virtually any look hands down. You don’t even need to think about this one. Just go bold. Your eyewear will complement your bold lip seamlessly. In fact your eyewear downright loves a bold lip. Take your pick from the luscious assortment of fushia’s, coral’s and ruby red’s out there. You can even coordinate your eye and your lip colour to max this look out. Get those liners out, ladies and get your flick on. 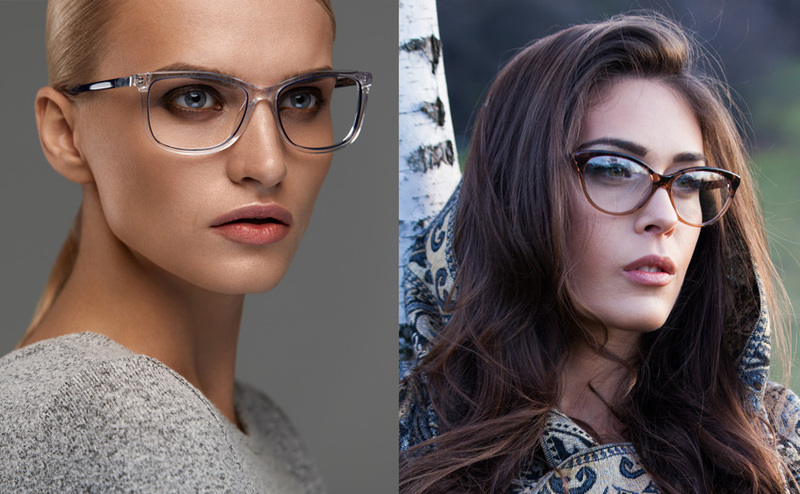 All you’ve got to do is line your flick with the upper corner of your eyeglasses to nail the framed cat eye look. We couldn’t resist trying this one out first and the results spoke volumes. To give your eyes a bit of sparkle under your glasses, go on and dab some shimmery light-reflecting powder on your lids or you can even line your eyes with emboldened metallic shades like glossy gold, electric blue or an acid green. Our final tip in this section. 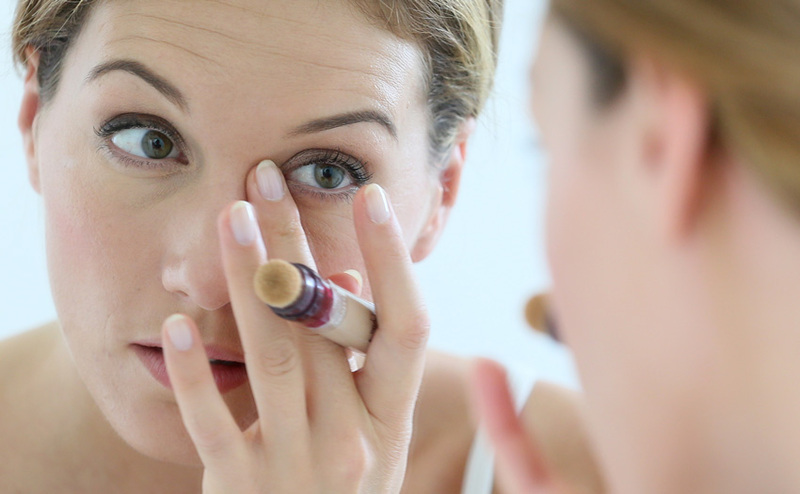 A yellow-based, under-eye concealer (cream or liquid) instantly brightens up your under-eyes. Leaving your entire face looking refreshed while simultaneously minimizing the shadow of the spectacle frames usually cast on the face.